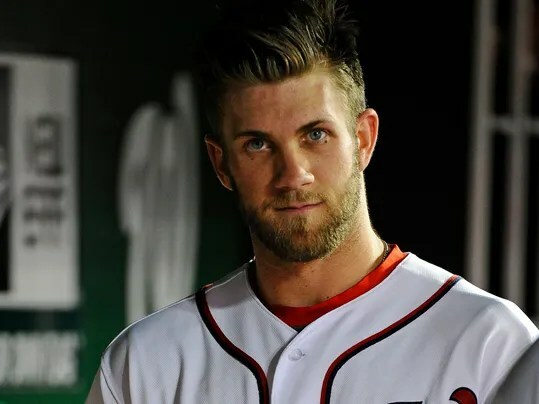 WASHINGTON (AP) — Washington manager Davey Johnson is planning to talk to Bryce Harper after the outfielder failed to run out a ground ball to second during Friday night’s 3-2 loss to the Mets. Johnson said Harper’s health could be a factor, with the 2010 No. 1 overall draft pick possibly headed for offseason left knee surgery. “My opinion is you take nothing for granted,” Johnson said before Saturday night’s game against New York. “You hit a ground ball, the guy could boot it, you run. Anytime you don’t go hard, it’s a losing attitude. Harper injured his left knee in May when he crashed into the fence at Dodger Stadium while chasing a fly ball. He eventually missed 31 games due to bursitis. When asked about Harper potentially having minor surgery in the offseason to remove a bursa sac, Johnson said it’s an option and any decision would be made by Harper and team medical director Dr. Wiemi Douguih. 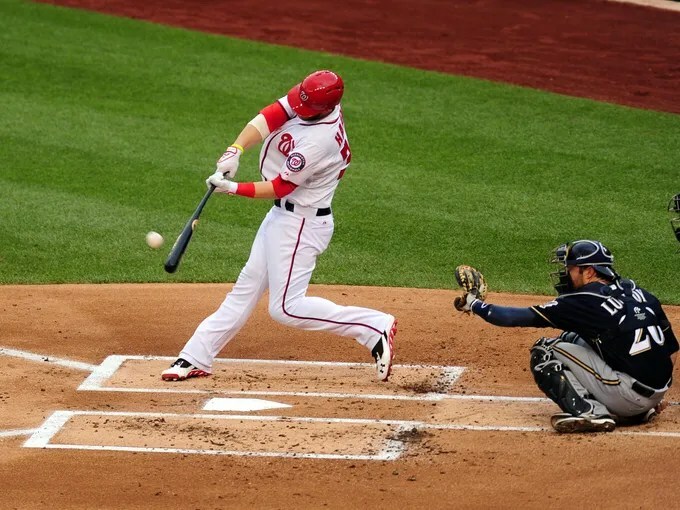 With two out in the eighth inning Friday night and runners on first and second, Harper hit a grounder to second on a 3-1 pitch. Daniel Murphy bobbled the ball but was able to take his time on the play because Harper didn’t hustle over to first. Bench coach Randy Knorr, who was in charge for most of the game after Johnson left the dugout in the fourth inning due to dehydration, wasn’t happy to see the youngster jogging to first on the grounder. “The thing about Bryce right now, it’s tough,” Knorr said. “He gets frustrated. I don’t think he does it intentionally, but he’s going to have to start picking it up a little bit because we’ve got everybody else doing it. And he gets frustrated at times and it just comes out in him. Johnson was asked if Harper not hustling was something he had discussed with his left fielder previously. This entry was posted in Yankees and tagged Nationals' Davey Johnson to talk to Bryce Harper by edb23. Bookmark the permalink.